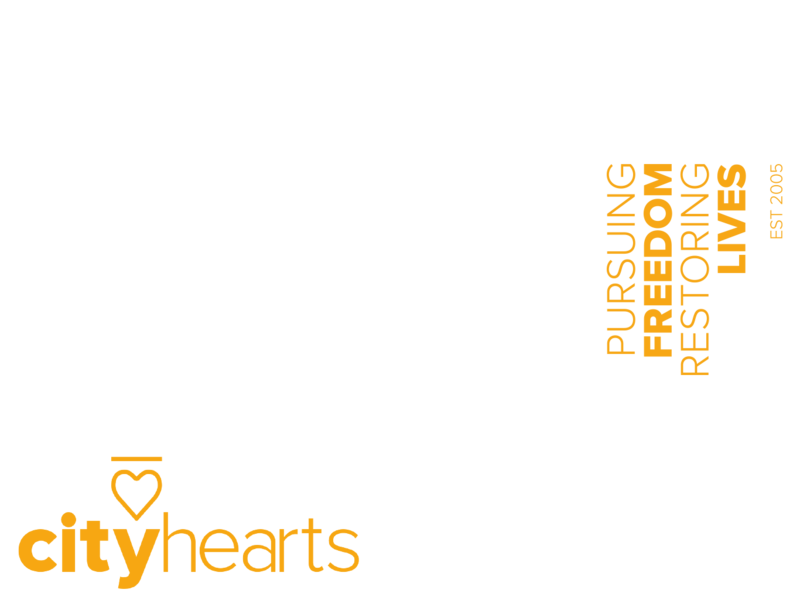 City Hearts – Pursuing Freedom. Restoring Lives. PURSUING THE FREEDOM AND RESTORATION OF LIVES TORN APART BY MODERN SLAVERY AND LIFE CONTROLLING ISSUES. MODERN SLAVERY IS CLOSER THAN YOU THINK. On any Given Day 40.3 million people are victims of Modern Slavery. And it’s happening in the United Kingdom. It is estimated there are well over 13,000 victims of Modern Slavery in the UK. Many believe that this figure is just the tip of the iceberg. The exploitation suffered by every victim often leads to a life of dependency with life controlling issues. In Britain, over 500,000 people suffer from Anorexia and Bulimia, over 250,000 people are affected by self-harm and there are around 6,000 suicides every year. One in six adults carries a common mental disorder. To relentlessly pursue the freedom and restoration of lives torn apart by Modern Slavery and life controlling issues. We create projects that bring real change to some of the most vulnerable and exploited people in society all over the world. We are dedicated to each person’s recovery and to fully restoring their broken lives and futures. I had nightmares every night of people finding me and taking me back to the house where I was constantly abused. Thanks to City Hearts, I finally feel safe and protected by the support around me. I’m learning not to be afraid of everyone. For the first time, I have friends, we go out, and I have a life I only dreamt of. And I don’t have nightmares anymore. Women, Men & Children in our Safe House accommodation. Survivors supported into work placements in our Bright Future employment programme. Survivors of Modern Slavery in our Outreach programmes. Women with life controlling issues who have been cared for in our Restore residential programme. Children who have been mentored in our African Child Partnership Programme. Survivors assisted with their longer term needs integrating into local communities after exiting Safe house and Outreach programmes through our Integration Support.